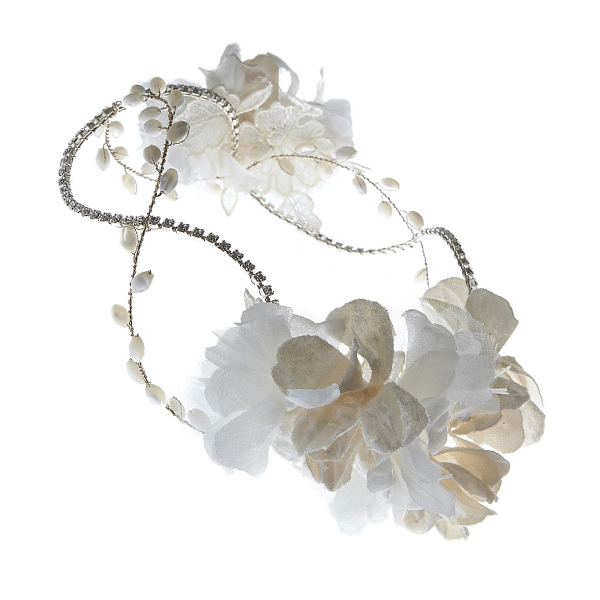 ETHEREAL DREAMS - Designed for the Boho bride! It's design story time again. If you're a boho bride, love a festival wedding theme, or a fan of quirky informal romance, I think you're going to love this collection. It's hugely popular and the key pieces are the most tried on and biggest draw to my stand when I exhibit at the National Wedding Show. Boho style, relaxed, pretty and whimsical, this was the vibe I wanted when I designed these pieces. 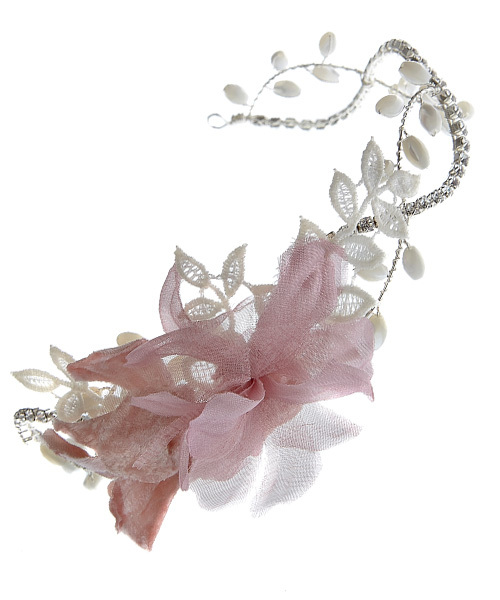 I wanted to create for brides who didn't want the traditional tiaras, the sparkly combs or the rigid headbands. I wanted the pieces to be fluid, flexible, fun and easy to wear and personalise with the way they are worn. Take the Christobel for example, one piece, one model, two very different looks. These pieces are for experimenting and having fun with. Most of them look stunning on both long hair and on a short pixie crop. The collection comprises a series of circlets, hairvines and combs. They are comfortable, flexible and easy to wear, particularly useful if you are having a destination wedding and won't have the same chance to experiment before the day. I've used a whole range of materials, you name it, it's there. 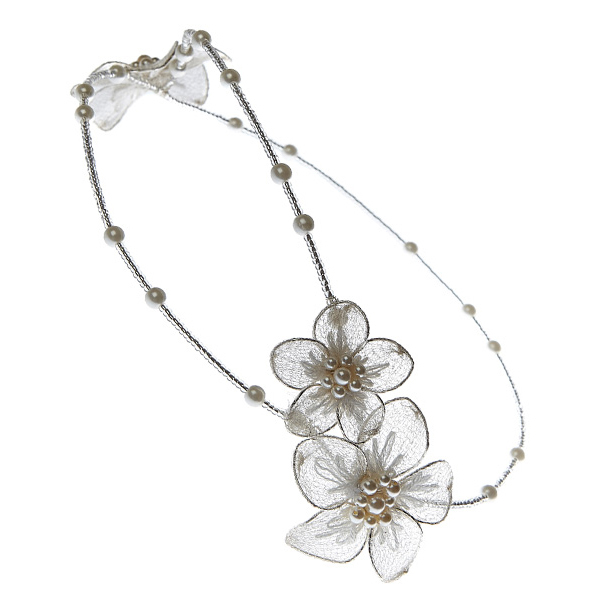 Mother of pearl, pearls, crystals and diamantes, mesh ribbon and metal beads. 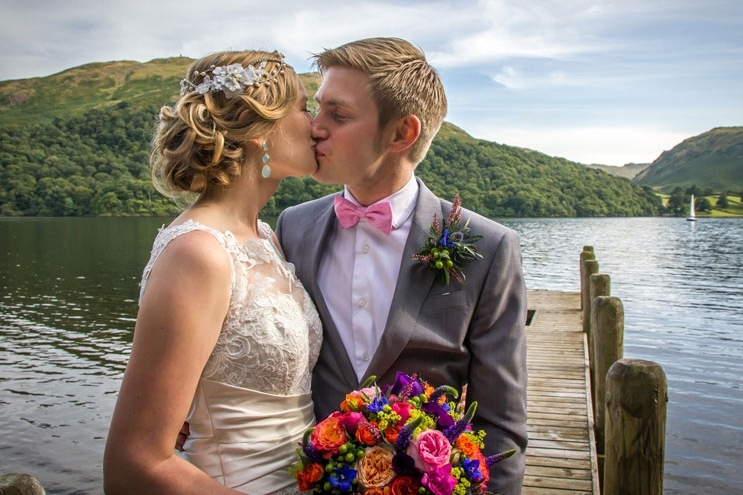 As with everything I create, each piece is completely customisable for each bride. Guess what, despite having set the tone in my last design story post, the freezing cold day thing, well this was the exception to the rule, it was a belter of a day, the sun was out, though there was one sharp downpour. This was a shoot of seconds. This was our second opportunity to work with the incredibly lovely (and talented) Laura Peterson, who at the time was home from New York for a short holiday, she was studying acting there. Remember this face, it is one you'll see again! It was our second trip to Saltmarshe Hall, an elegant 19th century coutry house on the banks of the river Ouse in East Yorkshire. 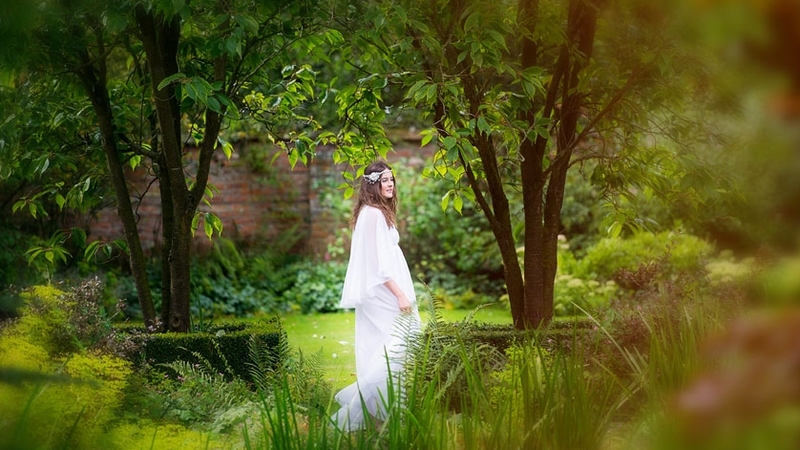 It stands in 17acres of beautiful grounds and gardens, which we took full advantage of. Ally has capture some of their beauty on her blog. It was our second opportunity to raid Hayleys collection of dresses. As well as being an uber talented designer of slinky boho dream dresses under her own label, Rolling in Roses, she has an incredible range of originaly vintage wedding dresses for your delectation. It was of course another outing for the "Dream Team", yes, you know the script by now.... incredible photographer Ally Byrom and fabulous make up artist, Victoria Farr (read my other "Design story" posts to find out more). We were accompanied by my partner in crime, Sara and my kids (half term holidays) disappeared off exploring the grounds. Vicki worked her magic both with hair and makeup, and as a reflector wrangling ninja, she's a real expert. The "Flowers", Floral Lounge and the wonderful Sarah Nicholson, you'll be hearing a lot more about her soon! Everything came together like a dream and "Ethereal Dream", sorry, that was an appalling attempt at a pun. A big shout out to Hayley for trusting us with those dresses. Last but not least to Rebecca Robinson for her excellent white background product images. At risk of repeating myself, I still have more collections to share with you, so why not subscribe and stay tuned.